We'll send you a free chapter, and sign you up for the club. Interested in Kerri's new book? Simply fill out the form to the left. 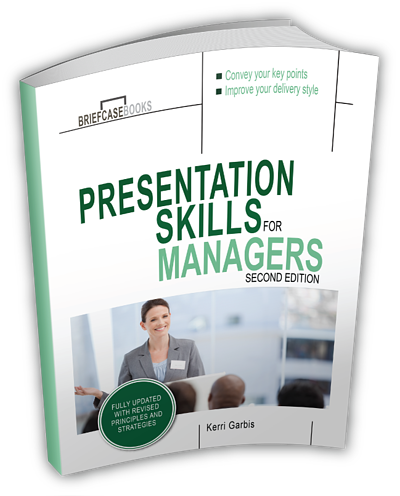 A free chapter of Presentation Skills for Managers. Membership in our Book Club. Newsletters from Ovation President and author Kerri Garbis with exclusive book club content. Inclusion in giveaways and more.